If you’re a person who suffers from Irritable Bowel Syndrome, abdominal bloating, gas or flatulence, gurgling stomach, reflux, diarrhoea and/or constipation, getting to the bottom of the problem can be useful in finding relief. Lactose and fructose intolerance tests prescribed at Melbourne Natural Medicine Clinic can be highly effective in locating the source of a person’s digestive issues and enabling them to redesign their diet. The lactose or fructose intolerance test may also be beneficial for those with wheat intolerance, dairy into lerances and reactions to healthy foods such as fruits and legumes. Fructose and lactose intolerance issues may be due to your digestive system lacking essential enzymes, which digest sugars found in many commonly consumed foods. The sugar is not broken down correctly in the small intestine allowing bacteria to use it as a source of fuel creating excess methane and/or hydrogen. Even eating just a small amount of poorly tolerated food can cause discomfort and other symptoms. A script will be provided by a Melbourne Natural Medicine Clinic naturopath to visit the breath-testing centre. 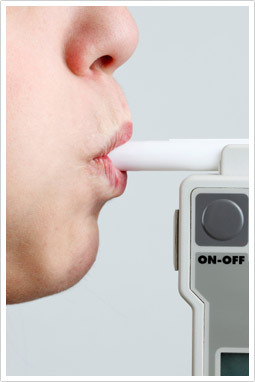 Each breath test is performed on a different day. You can have your lactose or fructose intolerance test alone, or test for both together. A base line from the sugar lactulose needs to be established before fructose and or/lactose can be tested. Breathing into a breathalyser device detects the amount of hydrogen or methane present over a three-hour period. Once the test is completed, the results will be emailed to your practitioner. They will discuss with you the dietary changes needed and medicines that will assist in reducing the severity of symptoms and begin the healing process. Book in for a lactose or fructose intolerance test at Melbourne Natural Medicine Clinic today.